*Mitt Romney has talked a lot about his religious values throughout the presidential campaign. But the violent comment made by Mitt Romney’s son about President Obama, and the dismissive response of the Romney campaign to that comment, were anything but godly. When Tagg Romney said he wanted to “take a swing” at President Obama during last Tuesday’s debate he was not only being thuggish and disrespectful to the Office of the President, he was being un-Christian. There are doctrinal differences between Mitt Romney’s faith – the Mormon Church – and most other Christian denominations. Indeed, some Christians (particularly the conservative fundamentalists who comprise the Republican Party’s religious base) do not consider Mormons to be true Christians. But Mormons do acknowledge the divinity Jesus Christ and they embrace Jesus’ teachings contained in the Holy Bible. The Christian command is clear: do not respond to physical violence with physical violence. This is one of the ways that Jesus instructs us to rise above our human nature and to demonstrate love for our neighbors – including enemies who seek to do us harm. But when Tagg Romney said he wanted to “take a swing” at our President, he wasn’t talking about responding to a physical attack from an enemy. 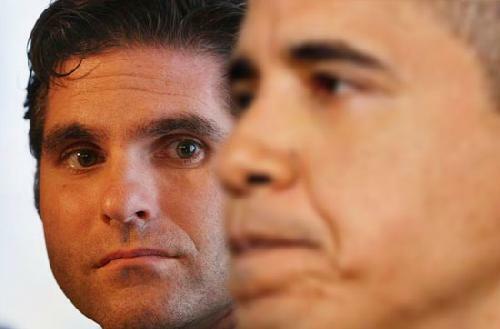 Mitt Romney’s 42-year-old son wanted to hit President Obama simply because the President said some things that Tagg Romney didn’t like. Such thuggism is about as un-Christian as you can get. It is a glaring and inexcusable violation of Jesus Christ’s order that we turn the other cheek, and that we do so out of love. Tagg Romney ought to be ashamed of himself. The entire Romney family and campaign team ought to be ashamed of themselves. They owe an apology to the President of the United States, the American people and God. Meanwhile, for a living, longterm and consistent example of Jesus’ turn-the-other-cheek admonition look to President Obama. Throughout his four years in office, and during a year of campaigning prior to his election in 2008, President Obama has personified the forgiving nature of Jesus Christ. But through all of these vicious, truth-twisting, fact-ignoring attacks President Barack Obama has taken the high road. He has never talked about “taking a swing” at any of his numerous political opponents. We saw this again during the town hall debate. When Mitt Romney scurrilously claimed that the President put campaigning ahead of sympathy for the four Americans murdered in Libya, Mr. Obama expressed his justifiable anger with carefully-spoken words that focused on the facts and reflected the dignity and maturity that we expect from the President of the United States – or any adult for that matter. The self-righteous Romneys could learn a lesson from our President’s example. Thanks for listening. I’m Cameron Turner and that’s my two cents.